This week we will be highlighting a number of upcoming geospatial conferences and the organizations that they representing. Conferences are a moment to learn something new, hear about great work that our colleagues are doing, find opportunities for collaboration, share knowledge, and have fun. Today the spotlight is on the MidAmerica GIS Consortium (MAGIC) – which is celebrating their 30th birthday this year. Their first conference was held in 1988. MAGIC is a volunteer run organization dedicated map-making, location services, and data development. The organization officially includes nine states in its region: Arkansas, Illinois, Iowa, Kansas, Missouri, Nebraska, North Dakota, Oklahoma, and South Dakota. The conference will be held April 23 – 26, 2018, in Omaha, Nebraska at the Omaha Doubletree Hotel. This conference offers a number of fantastic half day and full day technical workshops on wide variety of topics including unmanned aerial systems (UAS), python, R, ModelBuilder, legal issues in GIS, spatial statistics, and many others. The conference will include sessions ranging from environmental remediation to city and county GIS to law enforcement to software innovations and tricks. ESRI also brings their Mobile Lab so you can brush up on your ArcGIS skills. To find out more, see the detailed schedule, click here. Past MAGIC symposiums have included festivities such as fireworks, amazing prizes from vendors, and great food. Come for the learning, stay for the fun! Early registration ends March 23, so register today! REGISTER HERE!!! 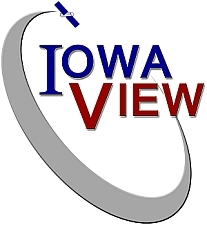 AmericaView Mini-grant: Iowa BMP Mapping Project Handbook and Tutorials Available!